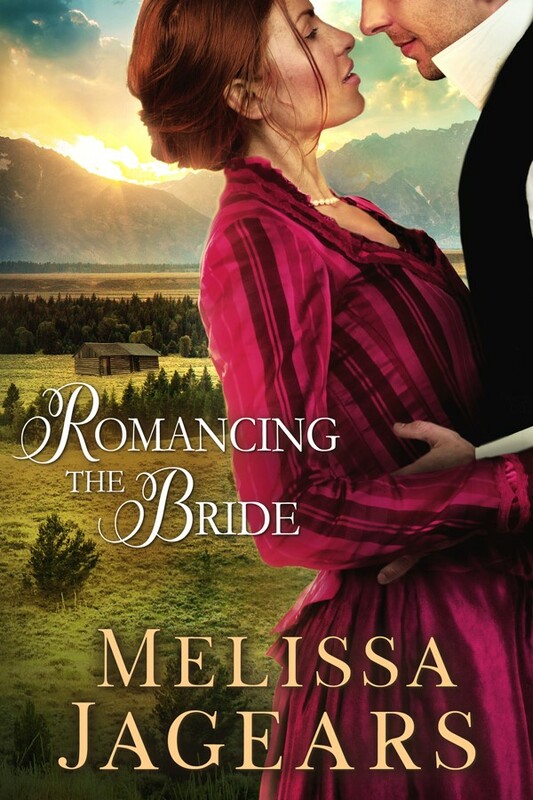 Romancing the Bride is such a compelling story. I can't imagine facing the hardships women like Annie faced. Life in the old west was hard and on any given day a man or woman could lose their spouse. Like many who sunk their money into land and cattle, there wasn't much money left over. Under most circumstances for a woman to lose her husband meant losing her livelihood. I could almost feel Annie's desperation when she decided to ask Jacob to marry her. I could almost feel how she felt moving to town and seeming to live as his wife to a town that wasn't sure what to make of her. Melissa Jagears has made the characters of this book come alive. Between the pages of this book you can see the tension in the air when church services are over and everyone prepares for the wedding. It cracks in such a way you aren't sure what is going to hit this couple next. Take a surly teenage girl, unsupportive friends and a flirty young beauty and even the best bride or groom might want to turn around and leave the altar. So many things backfire and it takes a great deal of faith sprinkled with patience. I found myself thinking about Cassie, Annie's daughter. She is so full of anger and disappointment over her father's death that she does her best to make everyone in the family unhappy. Yet, through it all, Jacob, as her stepfather deeply cared about her. He would do whatever he could to make her see he wasn't trying to replace her father. Jacob's prayer for his marriage and his new family are an inspiration. He was a strong man who was humbled by his faith, and that faith is what made him strong. I received an advance reader copy of this book but was under no obligation to review it. However, I can't help but share when I read such a good book. I recommend this book with 5 stars: great story, wonderful characters who are superbly developed and lovely description for a glimpse back into historical times in Wyoming.